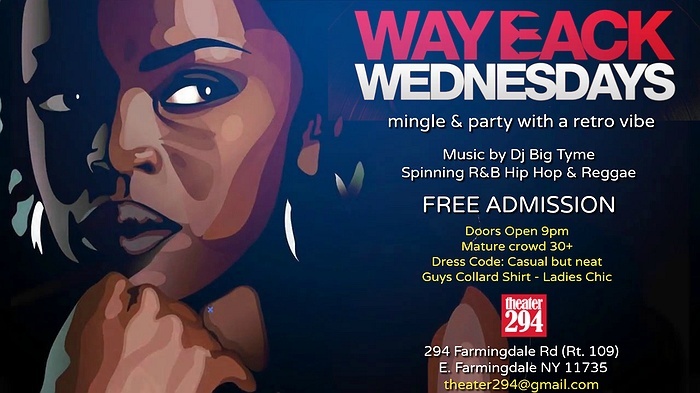 Subject: LongIsland.com - Your Name sent you Event details of "Wayback Wednesdays R&B Mix & Mingle "
Mingle & party with a retro vibe. Live Dj playing Old School R&B, Hip Hop & Reggae. Free Admission. 30+ Mature crowd.